Build your professional skills, expand your knowledge and boost your professional development with our future offering of Career Success ECourses. Build your professional skills and boost your career growth and development with Career Success ECourses. Job Search Mastery - Conquering Resumes, Cover Letters and Interviews; Keys to Career Success - Essential Skills for Succeeding in Your Job; Keys to a Job Promotion - Positioning Yourself Effectively for a Promotion; Building Bridges on Your Way Out - How to Resign From Your Job Gracefully; Managing Meetings Masterfully - Planning and Running Meetings Like a Pro & Navigating a New Territory - How to Succeed as a New/First-Time Manager. Improve your employability by taking this jam-packed course on How to Write a Great Resume, How to Write a Good Cover Letter and How to Prepare and Succeed at Job Interviews. How to prepare and succeed at job interviews. How to prepare and maintain your LinkedIn profile. How to get off to a good start on your new job. Accomplishments that employers want to see on resumes. Words to avoid using on your resume. 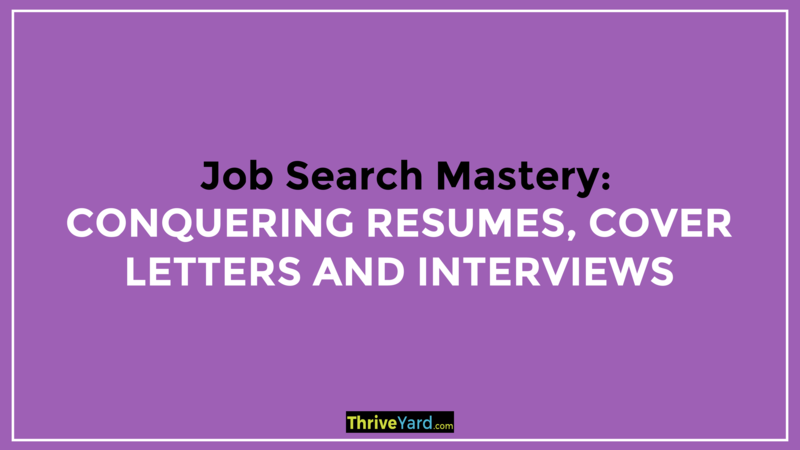 How to identify accomplishments to include in your resume. How your resume can comply with applicant tracking systems. How to develop a resume log. How to research a company before applying for a job. How to show multiple positions at one company on your resume. How to list company name changes on your resume. Things to do after you finish writing your resume. How to write a brief biography about yourself. How to make a video resume. Contents of a cover letter. Reasons why you should write a cover letter. Best practices for cover letters. How to sell yourself to an employer. Developing a logline about yourself. How to personalize and customize your cover letter. Clichés to avoid in your cover letter. How to find the name of a hiring manager. The email dilemma for cover letter submission. 23 things to research before a job interview. Common interview questions and answers. Questions that you should ask. Thank you letters and following up after an interview. Video, virtual, remote and web-based interviews. Someone looking for a job or changing careers. This course will equip you with knowledge and skills to be more productive, grow and succeed in your job throughout your professional career. Learn 243 exciting tips for your career success. How to manage your job like a CEO. How to be proactive and take initiative at work. How to develop a better relationship with your boss. How to manage your time well and be more productive. How to improve your leadership skills. 22 ways to be successful at your job. 16 tips on how to take initiative at work. 30 ways to improve your relationship with your boss. 25 tips on how to be proactive at work. 21 tips on how to manage your time better. 31 ways to be more productive at work. 16 ways to make a good first impression at work. 32 simple ways to manage email effectively. 35 ways to improve your leadership skills at work. 15 qualities of a good boss. Someone who desires to make an impact, grow and succeed in their job. Are you ready to move up in your career? This course will help you prepare, develop and refine the skills needed to advance in your career. How to get promoted at work. How to ask for a promotion. What is needed to advance in the workforce. What can derail your promotion prospects. How to handle being passed over for a promotion. Reasons for wanting a promotion. Things bosses look at to promote staff. Reasons why employees are promoted. Sample job promotion interview questions and answers. 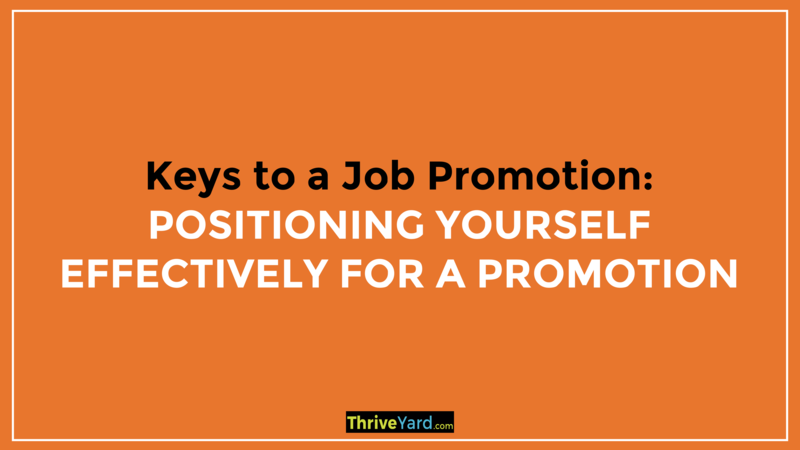 63 ways to move ahead at work and position yourself for a promotion. 60 things not to do when you want a promotion. 7 things outside your control that could hinder your promotion. 9 alternative ways to promote yourself. 17 Signs that you might be promoted at work. 8 reasons for declining a promotion. 9 next steps after being promoted. 28 ways to be successful after a job promotion. How to deal with being passed over for promotion. Ambitious professionals desiring to advance in their careers. 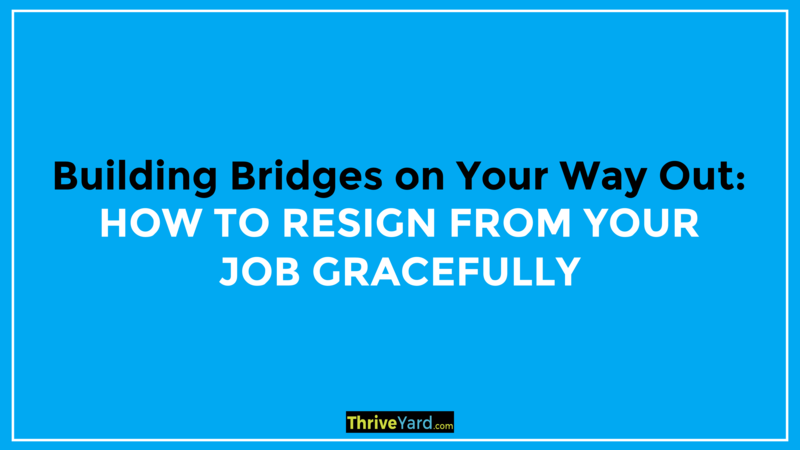 In this course, you will learn how to resign or quit your job gracefully without burning any bridges aka The Smart Person’s Guide to Resigning and Quitting a Job. How to resign and keep good work relationships. How to leave your job on good terms. How to write a resignation letter. How to survive your final days in the office. What to consider before you resign. What to say when resigning. Why do employees quit their jobs? Tips on quitting your job gracefully. Should I resign in person, by phone or email? The farewell email, letter, speech and quotes. Working gracefully during your notice period. Transition plan after resigning and training colleagues. Preparing handover notes when you leave a job. Should you take a counter offer? Your last day at work. Returning back to your former employer or going back to your old job. Quitting from a job you just started. Resigning from a job during maternity leave. This course is geared towards professionals who are thinking about quitting or resigning from a job. This course will help you to develop or improve your skills and gain confidence for planning and running meetings successfully. How to prepare for meetings. How to lead meetings at work. How to manage the life cycle of a meeting. Identify the purpose of the meeting. Prepare an agenda and meeting objectives. Determine the meeting date, time, duration and location. Identify visual aids needed and technology requirements. Track RSVP’s, apologies and send meeting reminders. Assign meeting roles – leader/facilitator, note taker and time keeper. Starting on time and reviewing the agenda. Reviewing previous minutes and actions assigned. Recording meeting attendance, note taking and writing minutes. Staying on track, managing sidebars, going off topic and distractions. Delegating action items, tasks and deadlines to attendees. Recapping meeting, key outcomes achieved and next steps. Ending the meeting on time. Filing minutes, meeting notes, agendas and presentation handouts. Following-up on assigned action tasks. Reflect on improving your performance from one meeting to the next. Planning for the next meeting: tentative dates, participants’ list and draft agenda. 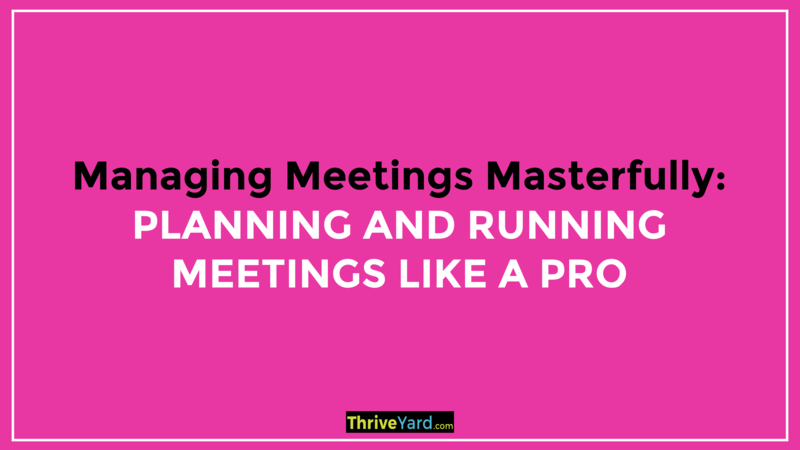 How to prepare and manage a meeting agenda. How to prepare meeting ground rules. How to lead a meeting at work. How to take notes in a meeting. How to encourage participation in a meeting. How to end a meeting. How to handle meeting overload and back-to-back meetings. How to manage one-on-one meetings. Reasons to have a meeting. 20 Best practices for meetings/meeting etiquette. 25 Characteristics of bad meetings/meeting mistakes. 20 Types of personalities in meetings. Roles of the leader or facilitator role and participants. Accommodating a key participant who is leaving early. Fear of speaking up in a meeting. Recording meetings – audio or video. The sweet spot/length of meetings. Organizing layout/arrangement of meeting room. Can a meeting end early? Round robins – to do or not to do them? What is the best time to have a weekly meeting? Death to the meeting after the meeting. Rescheduling, postponing or canceling meetings. When you run out of time during a meeting. Time zone considerations when planning meetings. Inviting participants, sending call-in details and agenda beforehand. Providing your contact details in case someone has to reach you. Testing the equipment before the meeting. Conducting roll call at the beginning. Management and Leadership team meetings. Project meetings (offsite retreats etc.). Business meetings (vendors, suppliers, clients, customers etc.). This course is designed for individuals looking to improve their skills and confidence in planning and running meetings efficiently. This course will walk you through your journey to becoming a good manager. It aims to shorten your learning curve as a first-time manager/new manager, equip you with practical skills, help you fit in quickly into your new managerial role, learn how to manage people and enjoy performing well in your job. 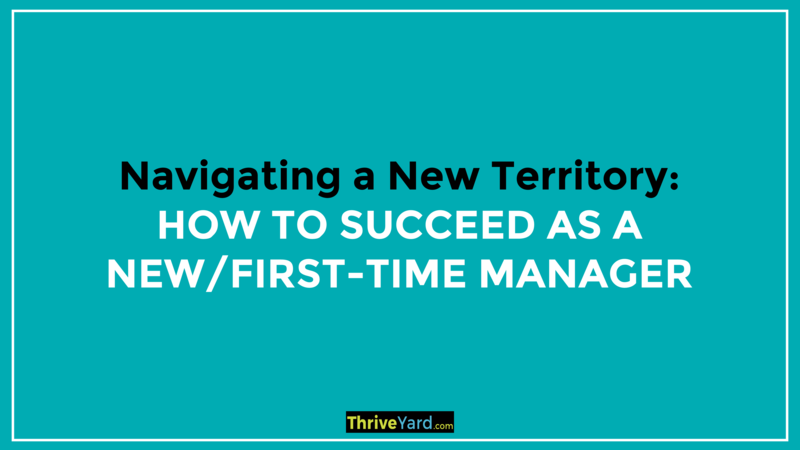 Get an in-depth understanding of how to succeed as a new manager. Learn skills to be a good manager such as delegating, team building, risk taking, empathy, communicating, active listening and giving feedback. Learn how to manage and support people effectively. Build trust and credibility with team members. How to become a better, competent and confident manager. Reduce the mistakes you make as a first time manager: 15 Mistakes That New Managers Make. Making the Mental Shift: From achieving success through your own individual efforts to now achieving success through your team. 9 Building Blocks for How to be a Good First-Time Manager. Surveying The Land: Overview of Being a First-Time Manager. Laying The Foundation: Setting Your Expectations as a New Manager. Installing The Framework: Developing Your Management Style, Systems and Processes. Installing Roofing and Insulation: Teambuilding. Working On The Exterior: Developing and Motivating Employees. Building The Interior: Developing and Motivating Yourself. Routine Maintenance: Effective Communication and Feedback. Conducting Inspections: Managing Employee Performance. Fixing Cracks On The Wall: Managing Challenges at Work. People who are managers for the first-time. Ambitious individuals who aspire to be managers in the future. A refresher for experienced managers. We have not yet started offering the online training courses. If you are interested in a specific course, you can pre-register here and we will alert you once the course is available.